We put particular emphasis on Tikkun Olam (repairing the world), the belief that through social or environmental action, we are partners with God in creating the world as it should be. Progressive Jews believe that the Torah comes to us from God, but it is our task to apply its teachings to our times. Halachah (Jewish law), is not a static set of decisions made by past rabbis, but a vital process requiring continuing engagement with our core beliefs in the context of our current world. Our prayers and rituals are essentially the same as other streams of Judaism. There may be adjustments according to what is meaningful to a community. 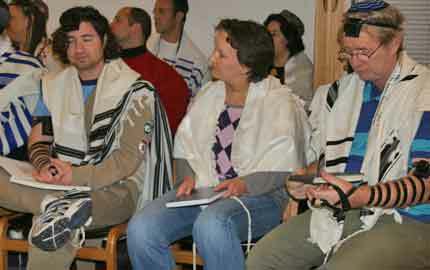 Many Progressive synagogues use the vernacular as well as Hebrew, shorter services are common and musical instruments may be played. Personal responsibility, egalitarianism, community and local tradition are the hallmarks of Progressive Judaism. Each human being is responsible for the choices he or she makes. For a Jew, this responsibility entails an awareness and reflective consideration of the Jewish values and principles that emerge from Torah. It is not enough to learn what Jewish texts or traditions say; we are also bound to critique what we learn with our God-given reason and act accordingly. All human beings are created in the image of God so should be treated with equal respect and dignity. Men and women have equal rights and responsibilities in Progressive Judaism, the foundation for an egalitarian approach that is sensitive to other differences, including different expressions of Judaism, different sexual orientation and the differences between Jews and non-Jews. To be part of a community is to give up areas of individual control for the well-being of the whole. This is the democratic approach to governance, something we learn from modernity. In the Progressive community, the rabbi is less an authority figure than a resource person and a source of entry into Torah and Jewish learning. 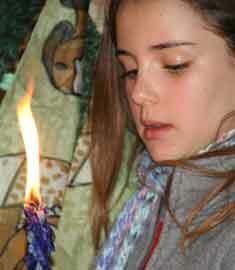 Our practices of Progressive Judaism are anchored in Jewish thought and tradition. We are committed to a true partnership between the rabbinate and the laity. Ten questions and answers about South African Progressive Judaism, as described 20 years ago by the late Rabbi Dr David Sherman of Cape Town. (Note that some of these practices have since changed).